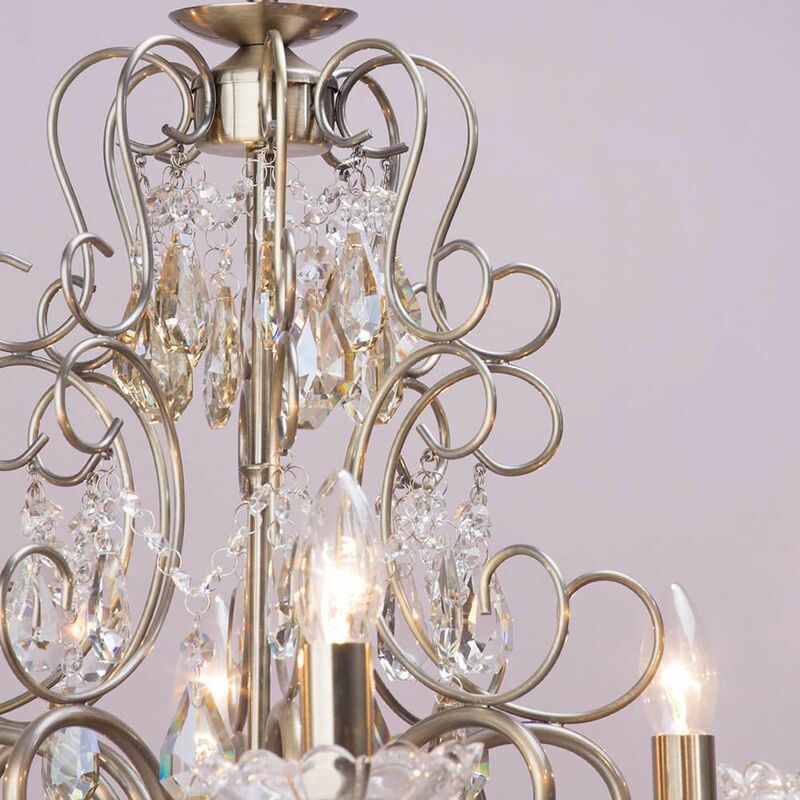 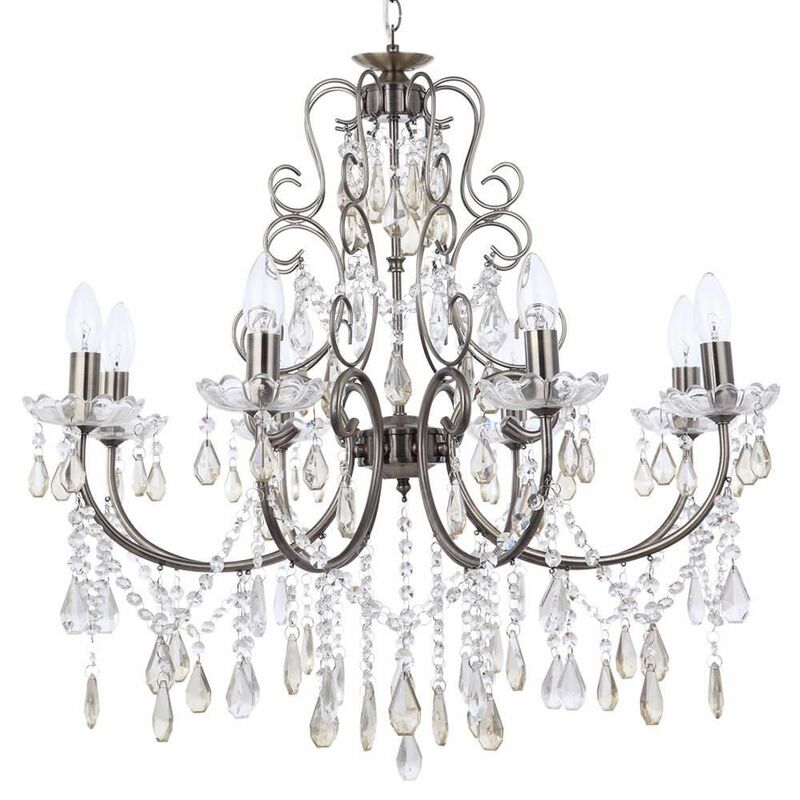 The Madonna 8 light chandelier will add an opulent look to your living space. 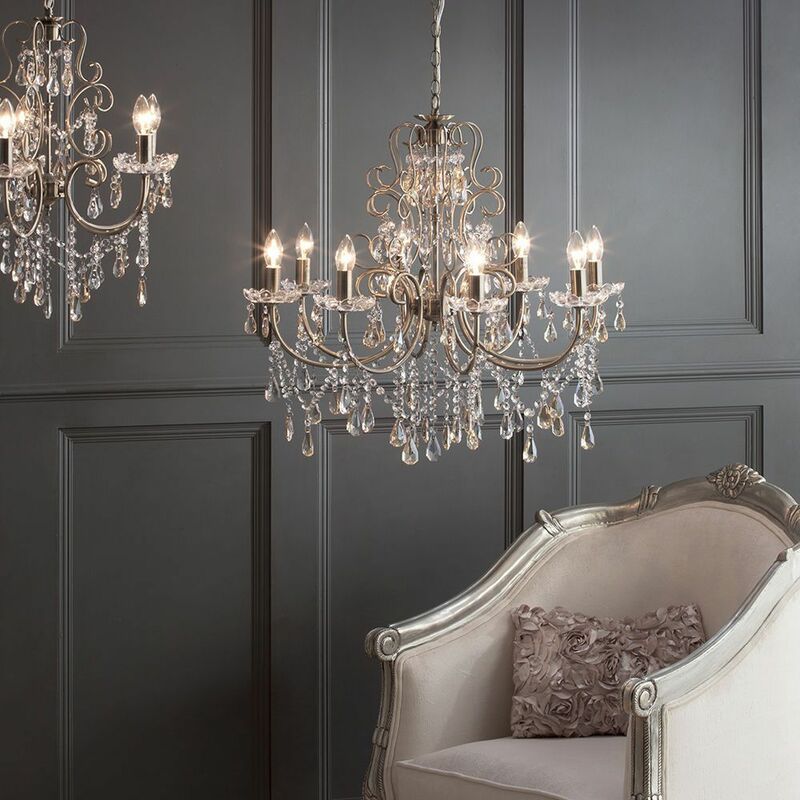 This magnificent chandelier is beautifully draped in stunning champagne crystal effect hanging pendants and beading. 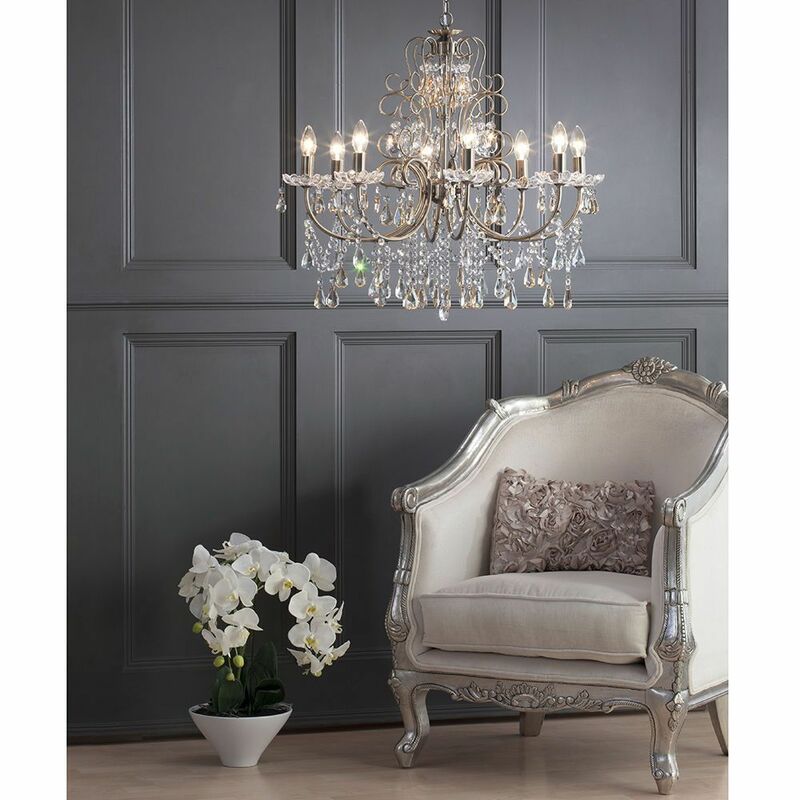 It features an ornate antique brass frame with 8 elegant arms topped with candle lights and sconces. 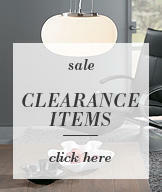 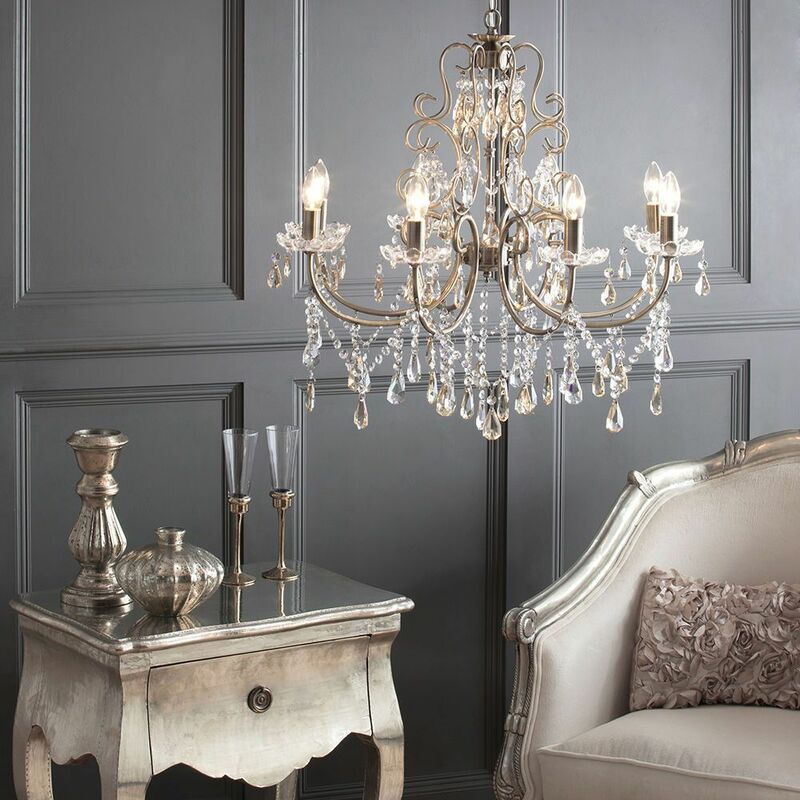 Place the Madonna chandelier in the centre of a large room or above a dining table to make a style statement. 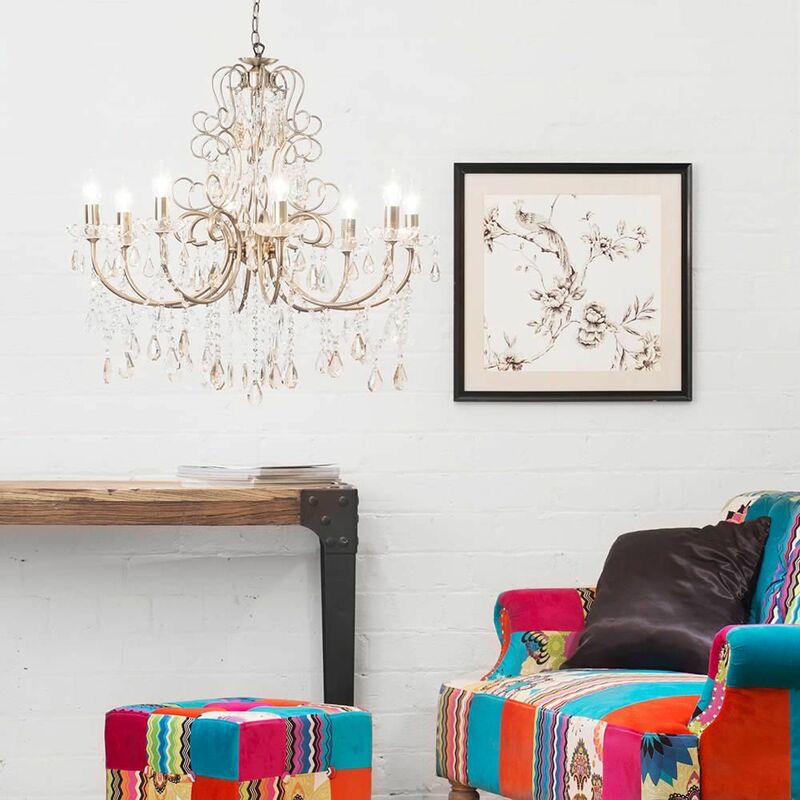 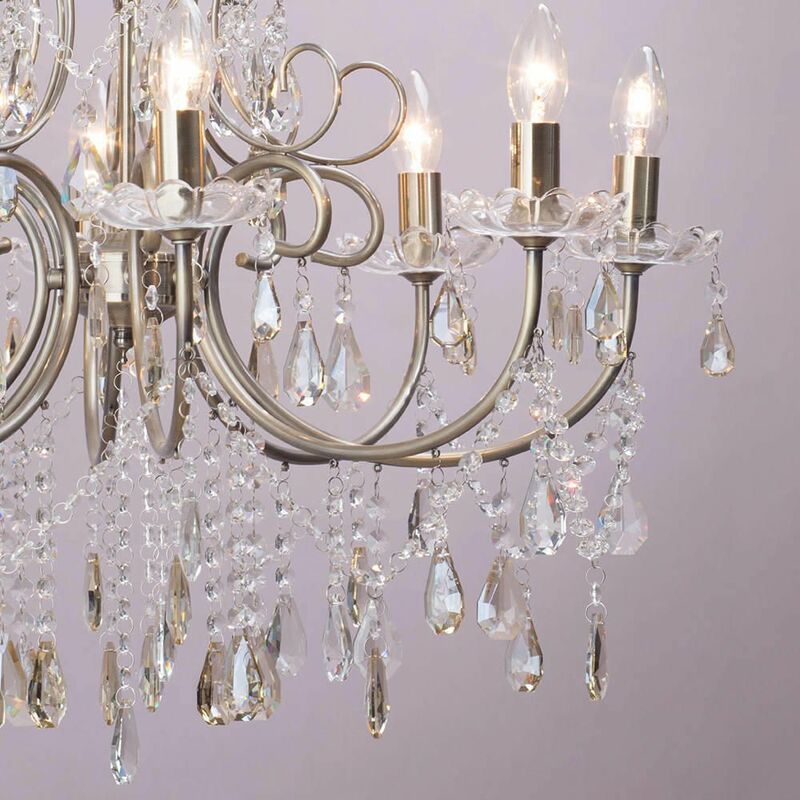 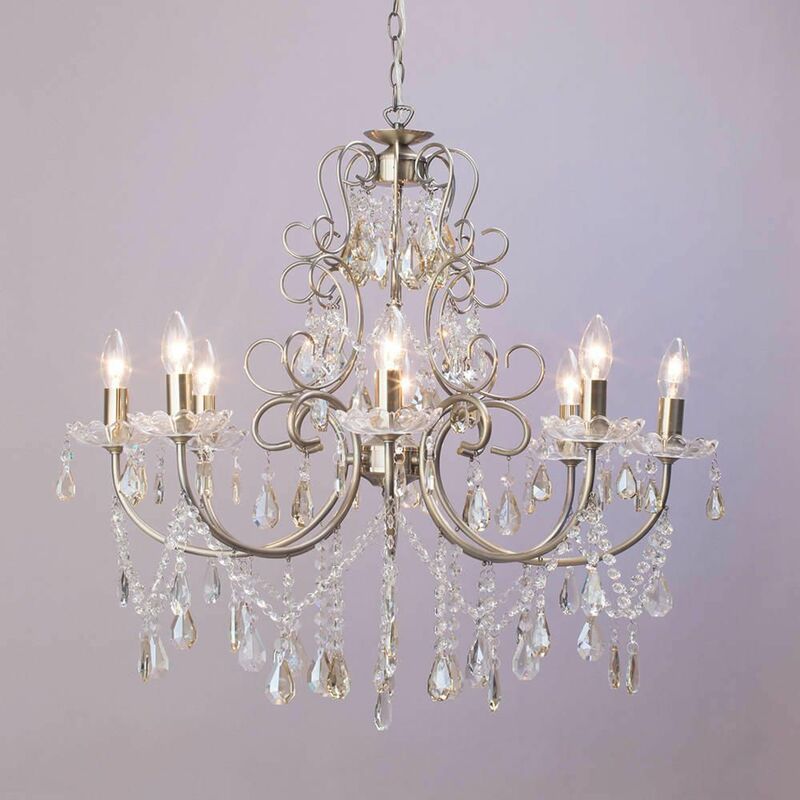 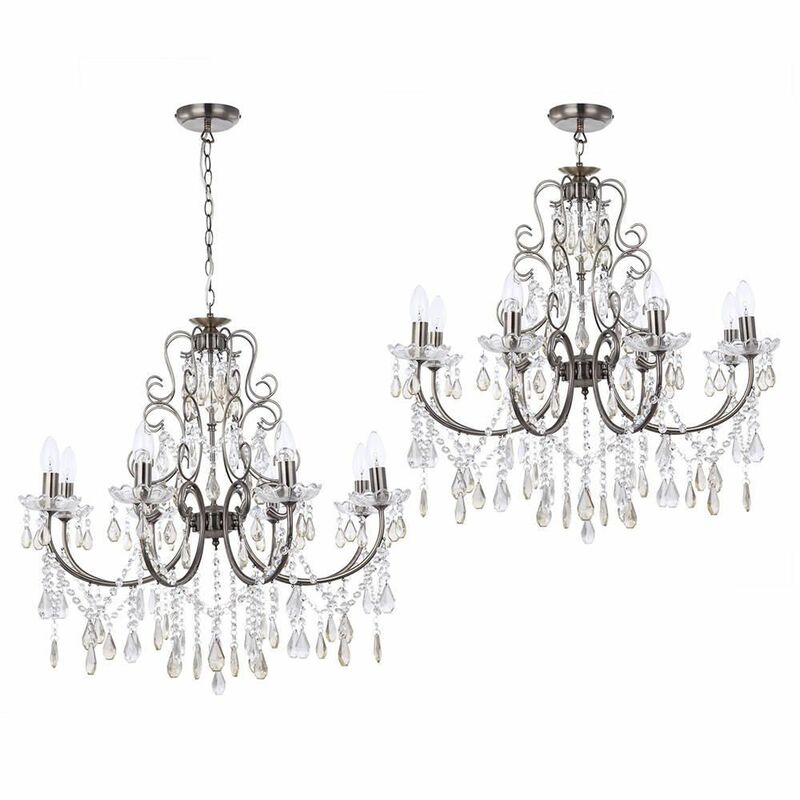 This chandelier would also look great hung above an open staircase for a dramatic look. 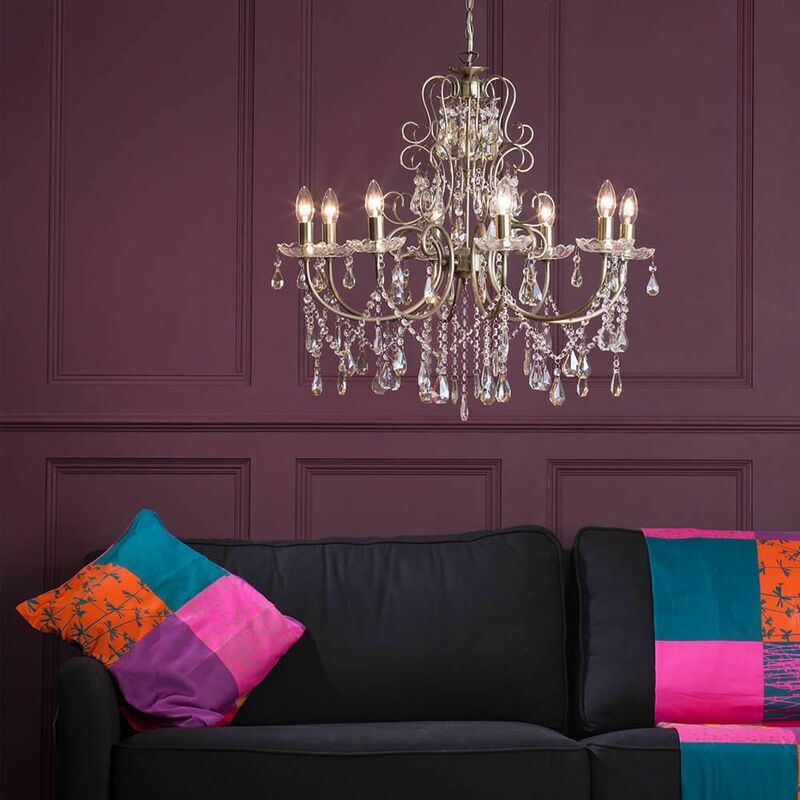 The Madonna has an adjustable drop, allowing it to be hung at various heights to suit your living space.